Flat Design vs. Material Design: what’s your flavor? Flat design vs material design – what’s best? We take a dive into material design as well as another design trend that’s swept over the UX design community in recent years: flat design. Known for their minimalist approach and stark UX design similarities, these design systems have us asking: what factors influence the design choice between them? Let’s throw our two cents into the material design vs flat design debate and discover just what the difference is. Flat design could be considered the opposite of skeuomorphism. Instead of using real-life imagery as with skeuomorphic design, flat design uses 2-dimensional visual details, as shown in the illustration above. Flat design doesn’t employ shadows like material design does. Flat design embodies the digital landscape from which it arose. Whereas other design systems rely on metaphor and realism to convey their essence, flat design disregards this and is considered authentically digital, according to Microsoft. Minimalism and flat design go hand in hand and so a lot of flat designs will look intentionally sparse. 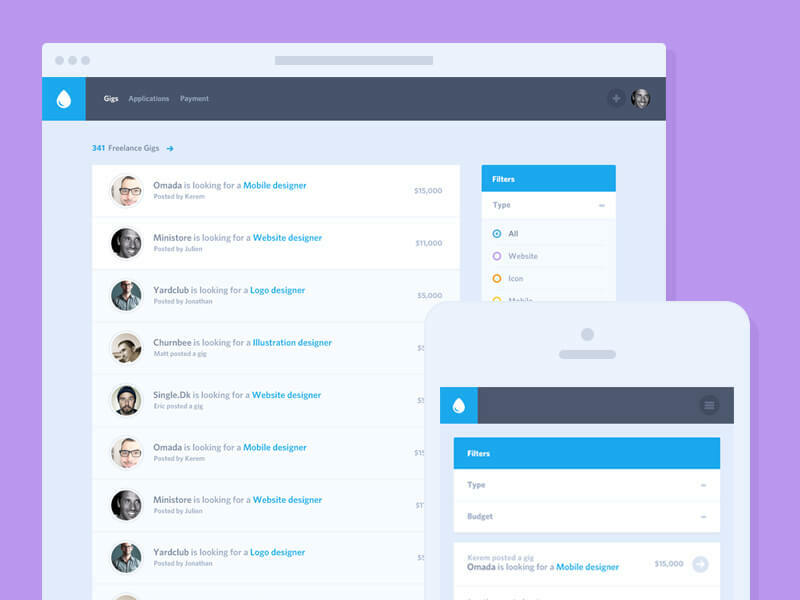 Download Justinmind and create mobile and web prototypes with the flat design principles. Flat design is stripped back to the minimum. Not to be intentionally minimalist but to focus on the function of design. Aesthetics do play a prominent role in flat design where bold color is used generously. However, a lack of shadow and depth can cause usability problems. A call to action without strong clickability signifiers can go unnoticed or be difficult to find, and this can be frustrating for your end user. If something doesn’t look clickable, then people won’t know to click. Fundamental error. With flat design, users can end up clicking all over the page in desperate hope of clicking something. Another drawback to flat design is that despite its leading role within UX design circles over the last 5 years, there are still people out there who think of it as a trend, something which isn’t as long lasting as material design, which has its own set of guidelines. In addition to usability problems, there’s the issue of distinctiveness. While flat design celebrates function at the cost of form, there is the risk of flat designs looking indistinguishable from one another. Limited color choices and shapes create limitations where they needn’t be any. This contributes to the trend like nature of flat design and makes for overly generic design. Material design is a design system developed by Google. Google came up with material design to create a coherent, practical and accessible visual language. The aim is to create web and mobile experiences that are based on and take full advantage of tactile screens, taking inspiration from paper and ink. Paper and ink? Yes, that’s right. Material design was initially named Quantum Paper. The design principles attempt to translate the physical properties of paper to the screen. The background acts as a sheet of paper and the UI’s elements and behavior mimics paper’s ability to be re-sized, shuffled and bound together. Materials such as paper cast shadows, are solid, can change shape and can be manipulated in myriad ways. These properties are all exemplified within material design. Essentially, material design is a system which outlines how designers can create unified designs with fewer distractions. The material design documentation is extensive and constantly updated by the team at Google. Put the material design principles into practice and prototype with Justinmind. Download now. Material design brings back a UI element banished to the past: skeuomorphism. Skeuomorphism style is where images and metaphor are used to give users a reassuring real-world reference. Since material design uses paper as the metaphor, it maintains flatness however it’s multi-dimensional. If something is too flat, users may find it difficult to distinguish between UI elements and their purpose such as whether an element is clickable or not. With Justinmind, it’s easy to re-create prototypes of mobile apps and web experiences with our material design UI kit. 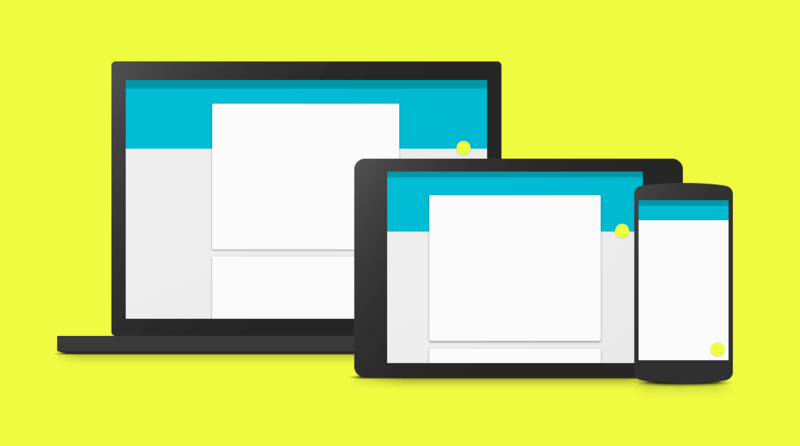 Material design gives designers a UI framework to adhere to. To avoid making terrible user interfaces, material design shows UX designers a clear path regarding how to design animations, styles, layouts, components and patterns. This is done so that anyone interacting with any of the Google products and services has a unified and pleasurable user experience. Material design helps to provide a comprehensive framework for designers to create mobile and web experiences. Although, material design is not the Holy Grail of design despite its popularity. While the principles can be extremely beneficial there are contexts in which material design would not fit. Take Facebook with material design principles. The result looks like Google+. And we all know how that turned out. Material design promotes simplicity but too much simplicity can be a hindrance. For example, in the below image, it isn’t immediately clear which parts here are clickable which can frustrate a user or result in them clicking all over the screen. While the UI design patterns within material design aim to be clear and guide users in a meaningful way, certain components have drawbacks because they’re superfluous. Take the Floating Action Button, which at times isn’t needed on a screen. Despite its controversy, there are alternatives to floating action buttons, though. Material design is also inextricably linked with Google and is dominant on Android. This relationship, while intentional, causes problems when designing for other systems such as iOS. Indeed, Apple has its own guidelines too, but this means that each framework is too attached to the parent company. Flat design vs material design: how are they different? Flat design and material design share similar characteristics. They’re minimal – no superfluous details here. Flat design also tends to use limited colors for fewer distractions and the simplicity of the UI element design encourages efficiency and functionality. Flat design takes inspiration from design movements of yesteryear, namely Bauhaus. One important tenet of Bauhaus is that function follows form. That’s why flat design is stripped back, with no frills. Flat design aims to make the function beautiful but is this at the expense of form? One of the ways in which flat design deviates from other design styles is that it doesn’t aim to replicate anything from reality, not like paper as with material design nor skeuomorphic design as with older iOS designs. Flat design places importance of crisp typography and a clear visual hierarchy. It’s clear that both flat and material design systems have their own merits and faults. It’s also apparent that their principles and goals cross over slightly. But for Justinmind’s design team, the fleeting nature of flat design may signify it isn’t here to last but the well-defined guidelines of material design give it a solid foundation that can be built upon and improved.